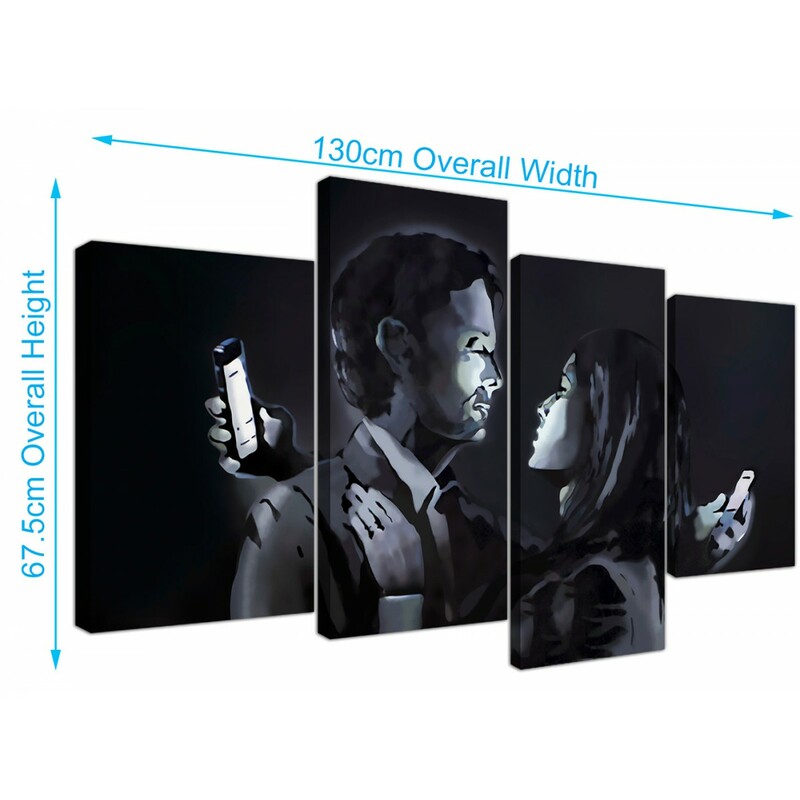 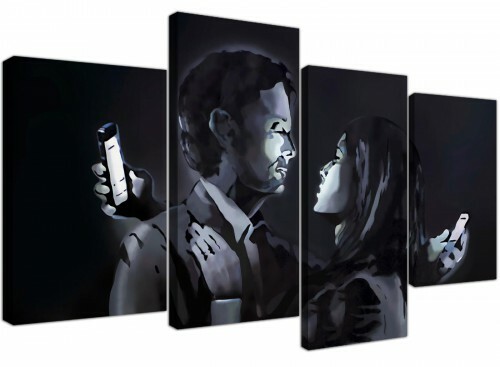 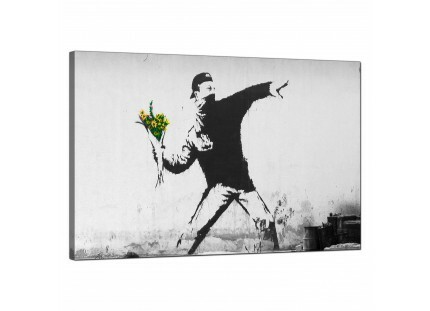 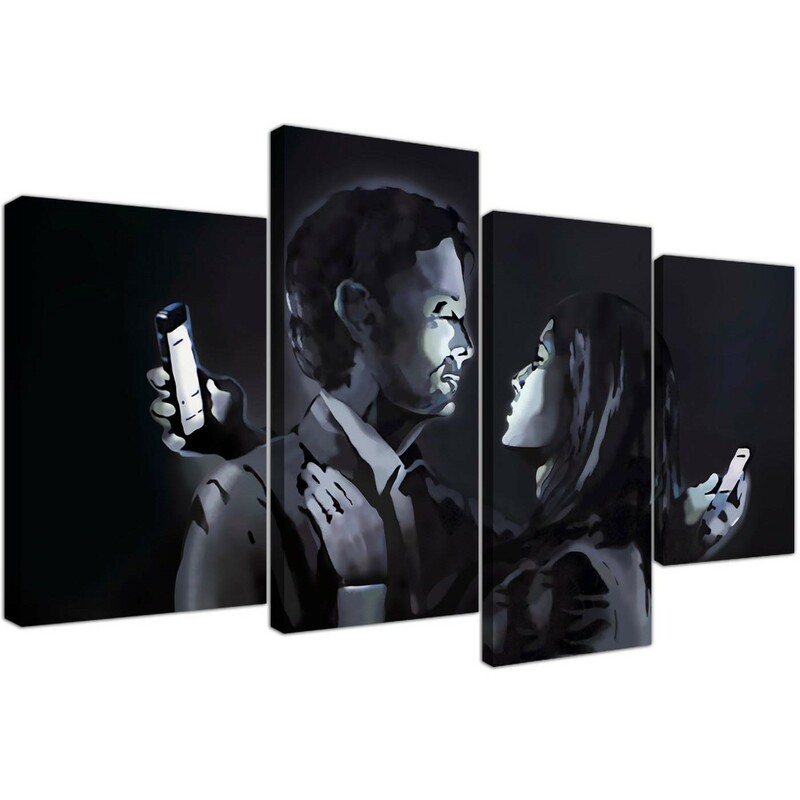 Urban canvas pictures of one of Banksy's most popular and most recent works - Mobile Lovers. 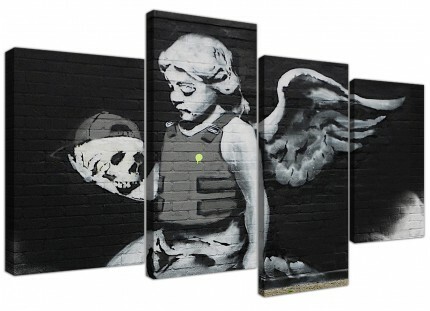 The work first appeared in April 2014 on a door in a wall in Clement Street in the St Paul's district of Bristol. 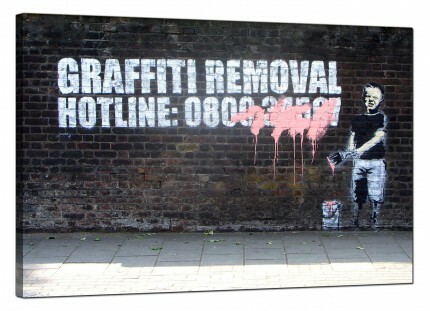 After a dispute with Bristol Council, Banksy donated the piece to the nearby boy's club who sold it for £403,000, ensuring the continued existence of the 120 year old organisation. A large black & white ultramodern 4 part set of pictures. 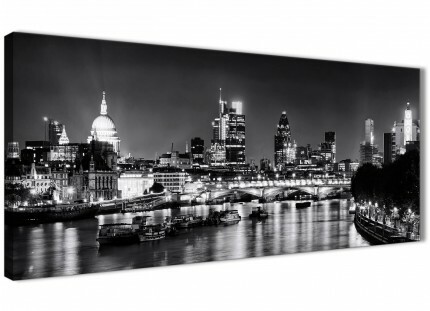 The UK's most reliable canvas art studio. 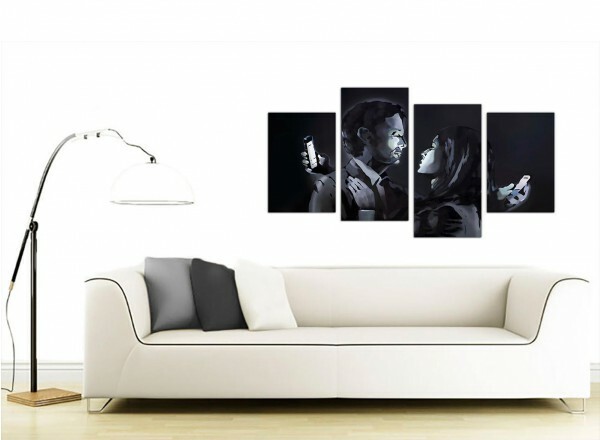 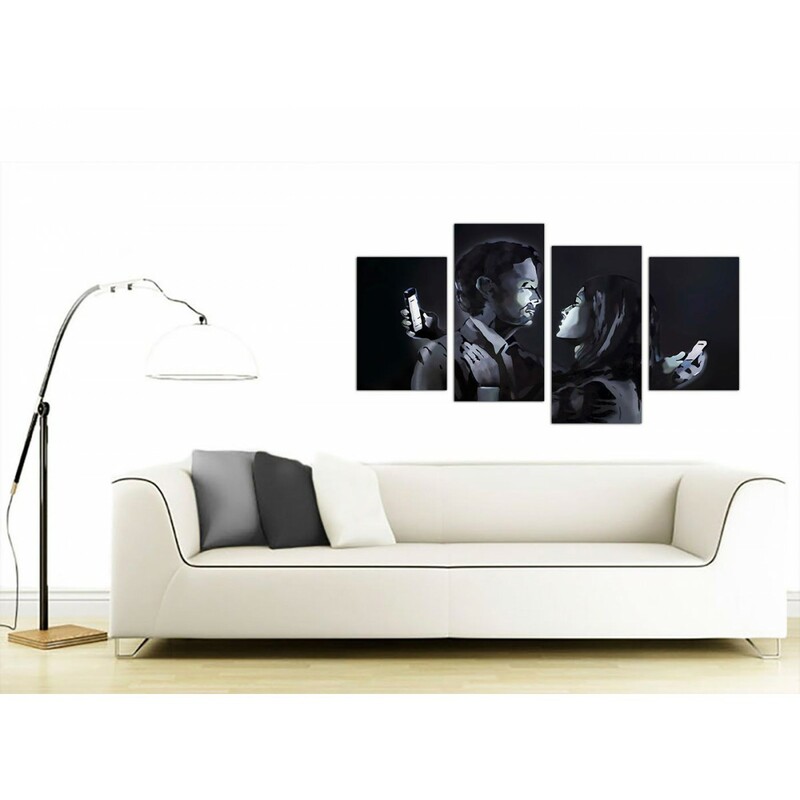 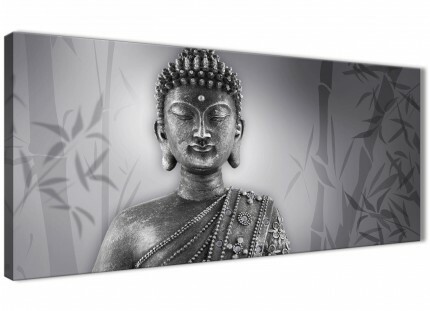 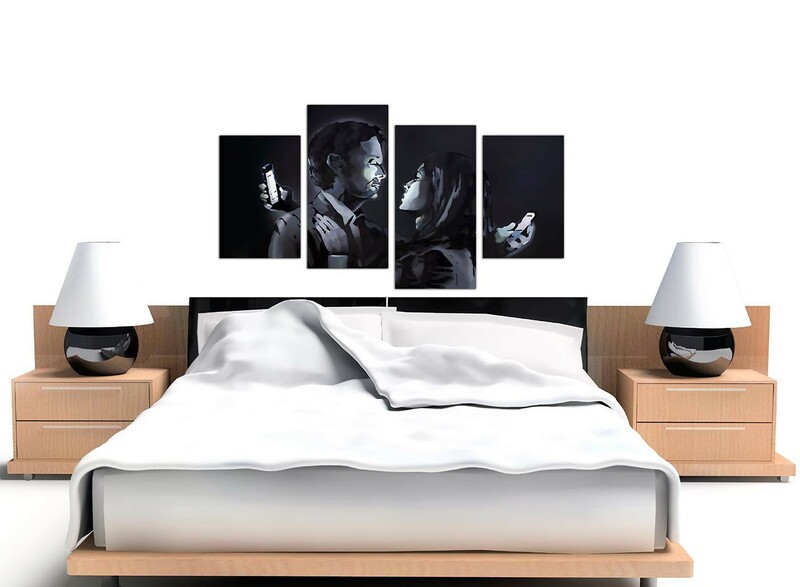 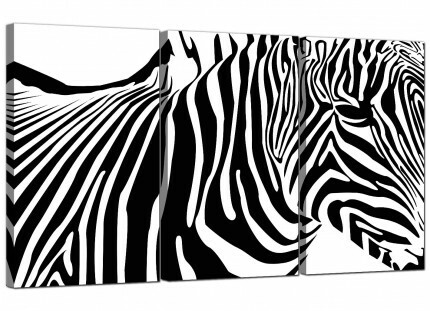 Artwork is made at high resolution with with fade resistant inks. 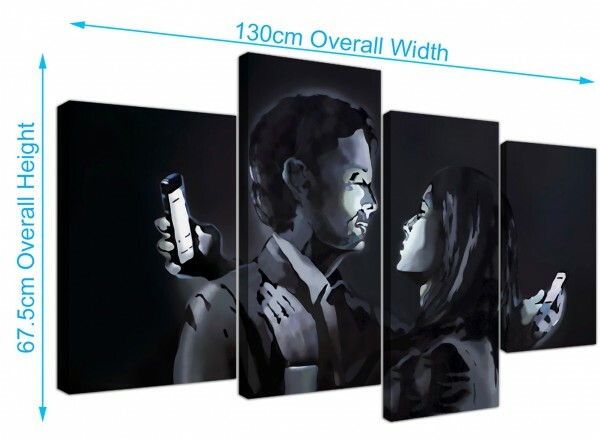 The two end pieces are 30cm by 45cm. Both inner pieces measure 30cm by 60cm. 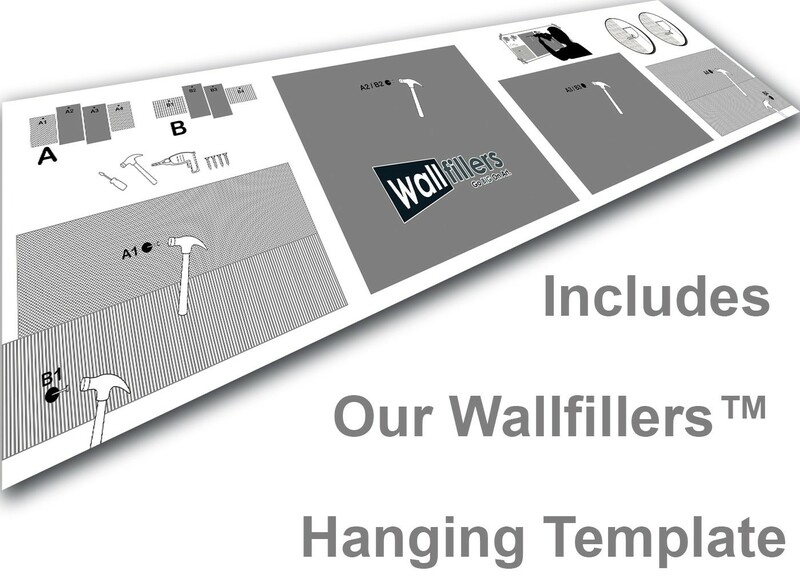 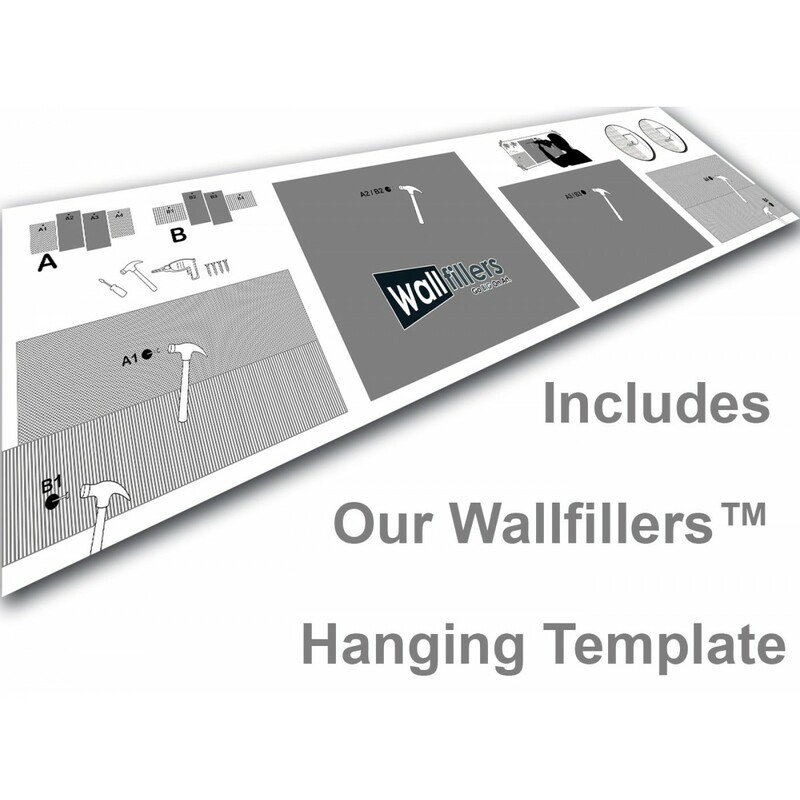 Wallfillers suggest a space of 2.5cm between sections.